In November 1989 an exhibit was on display at The Henry Ford that chronicled the life and career of famed automotive designer Bill Mitchell which talked about his two lifelong passions…drawing automobiles and driving them. The 1967 Camaro Cherokee is not only unique but provided Mitchell with a canvas where he could explore what the new GM pony car might become in the new war that was evolving in Detroit. Ford had introduced the popular Mustang just two short years earlier which started the salvo of vehicles that even today we enthusiasts still embrace. 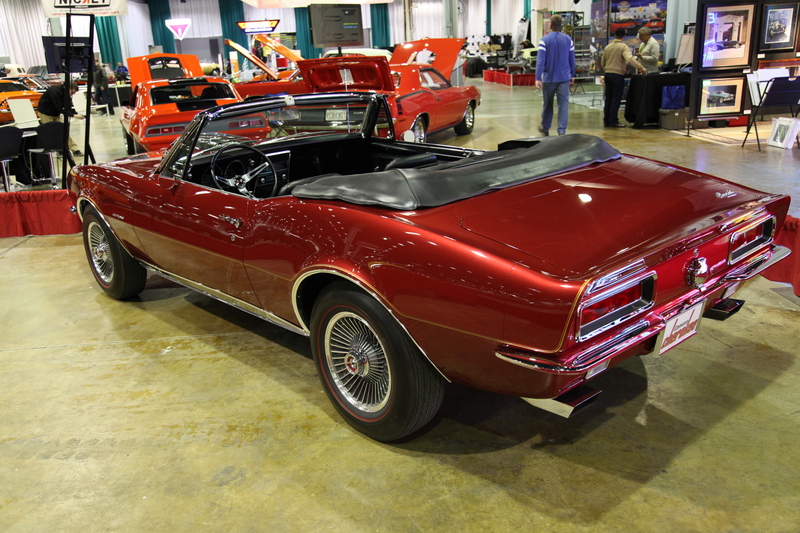 Mitchell’s Camaro started life on the assembly line as an SS396 convertible which he sent off to his famed GM Design Center for some Mitchell inspired tweaking. He enlisted the help of Vince Piggins, Chevrolet’s Z-28 guru, to massage the car’s unstamped pre-production L78 powerplant. Piggins immediately installed a Weber/Moon induction system to provide just a bit more oomph to the already 375 HP engine. Other internal tweaks were minimal because the convertible had an already impressive array of heavy duty components including the Turbo 400 trans, 12-bolt Posi rear, power disc brakes, Koni front and AC Delco rear air shocks. Mitchell had special turbine style 15 x 6 wheels installed (reminiscent of his famous Mako Shark) with Firestone Red Stripes. Mitchell, of course, wanted to add some personal design touches and, though subtle, gave the car a distinctive appearance. 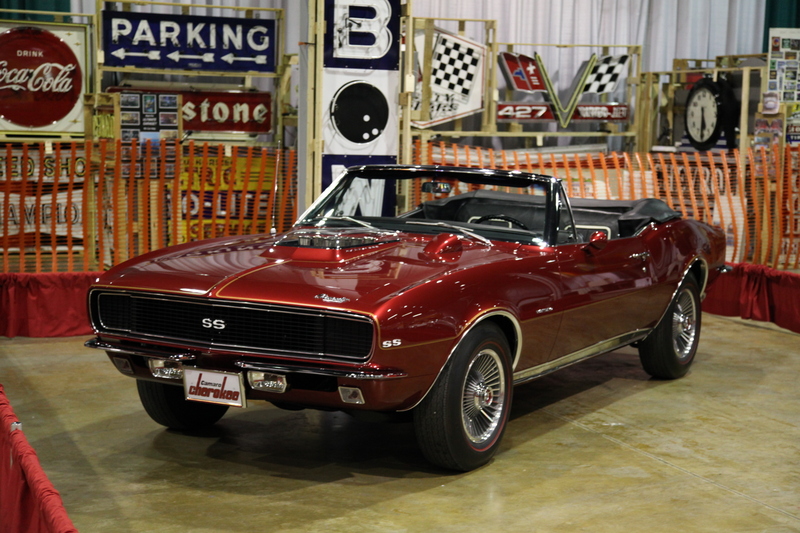 The most noticeable change is the handcrafted fiberglass hood with a Firebird style exterior tachometer and Corvette style hood scoop with the upper part of the scoop formed from clear plexiglass. That single element provide a view of the eight polished ram tubes feeding the four Weber 48mm carbs that sat atop that Weber/Moon intake. While Mitchell wanted to have some modified internals, he also planned to do a bit more with the external appearance, in addition to the “see-thru” hood. A ducktail spoiler was integrated into the rear deck along with split bumpers, front and rear and a racing-inspired flip down gas tank filler. A special Candy Apple Metalflake Red was sprayed over a stock Aztec Gold and pinstriped in gold. Eventually Mitchell had the interior reworked into a custom solid black, replacing the original red interior. The Camaro Cherokee was used in specific promotions including being the pace car for the Can-Am season opener at Road America with Stirling Moss as the driver. Mitchell also drove the car personally for a time, but as with all GM concept cars, it was doomed to be destroyed once its significant use was over. At least, that is what was supposed to happen. A friend of Mitchell’s, Augie Pabst, had seen the Camaro at Road America and somehow managed to get Mitchell to give him the car before it could be hauled off to the scrap pile. The story goes that Pabst kept the Camaro for several years before he used it as a trade-in at a Wisconsin Chevrolet dealer, at which time the Weber/Moon induction system mysteriously disappeared. 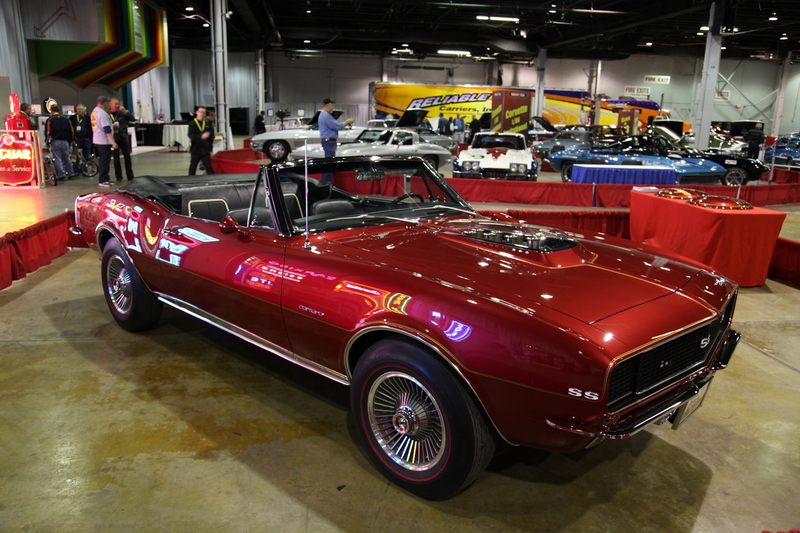 Several subsequent owners followed for the Camaro before it finally was sold at a Mecum Auction for a figure just north of $350,000 by a pair of anonymous brothers who are the current owners. There was restoration work done on the car previous to now, but the brothers decided it needed even more freshening and shipped it off to Charlie Hutton in Nampa, Idaho. Hutton is best known as Boyd Coddington’s in-house painter and he set up shop in Idaho to not only ply his painting craft, but to handle complete restorations and builds. 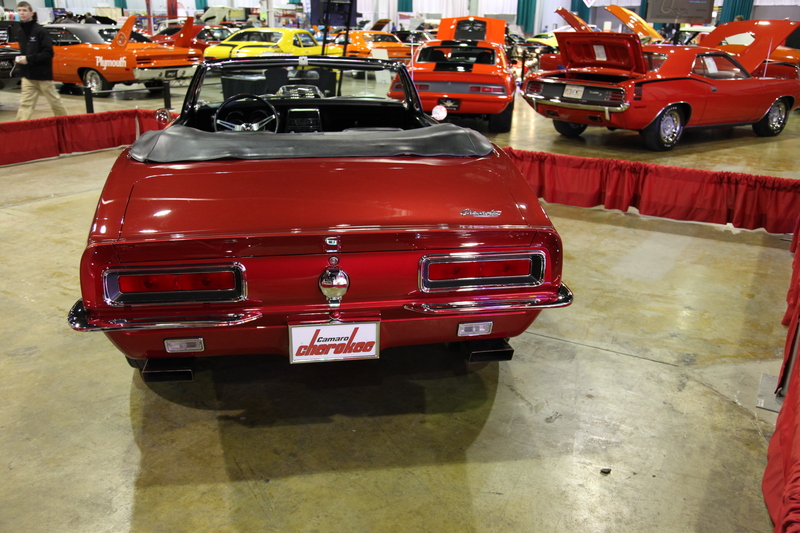 The two-year restoration culminated in the Camaro Cherokee being unveiled at the 2013 Muscle Car and Corvette Nationals event. The Cherokee has been called one of the rarest Gen-1 Camaros in existence. Based on the fact it was slated to be destroyed once GM was finished with it, that very well could be the case. I saw this car along with the Mako Shark, two I think it was, about 1968 at the Virginia State fair. Wish I had pictures of them as they left an indelible memory that until just recently had me questioning my memory of the car as I could not find anything about it, now I know why. I also did not remember the name which had I, it would have helped in my search! Thank You!